100% virgin wool (fabric weight 370 g/m²), fabric made in Italy. Corozo buttons. Garment made in Italy. Comes in grey-green. Ankle width for size 48 = 38 cm. 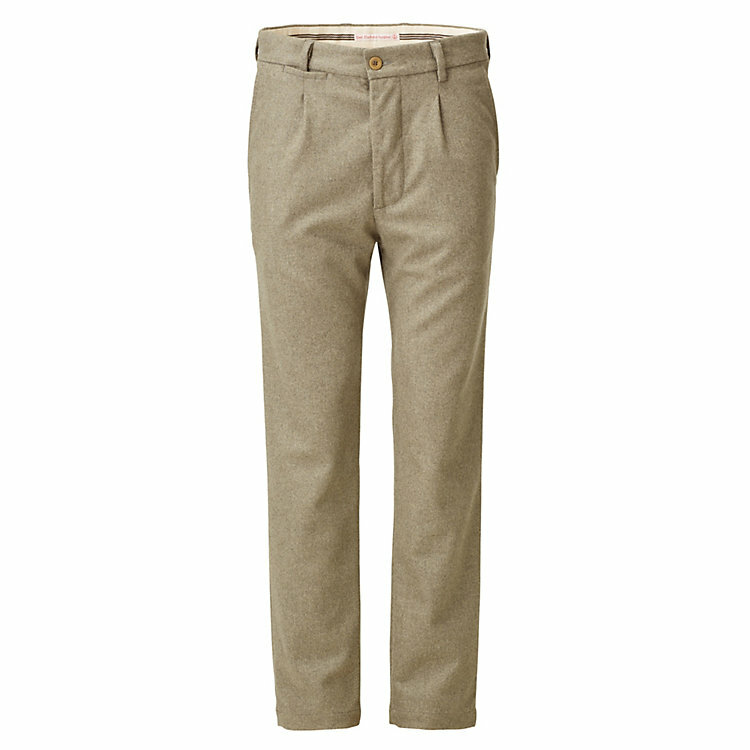 Comfortable, soft trousers made of a woollen weave. They feature pleats, two side seam pockets, a card pocket and two back pockets. Drawn from the World of Work. East Harbour Surplus. The East Harbour Surplus label was established in South Korea in 2008, although the focus is quite clearly Italian. The fabric comes from Italy, the garments are tailored there as well, and the designer in charge is trained in Italy. The designs itself are based primarily on vintage items from the 1950s and 1960s and are strikingly rich in detail and authentic finishes, despite modern influences. The result is comfort-cut garments with an accentuated masculine blue-collar aesthetic. The name of the label, East Harbour Surplus, reflects the fact that the inspiration for the designs is drawn from workwear needed for practical, physical labour in commerce and industry — at docksides and ports, for example.